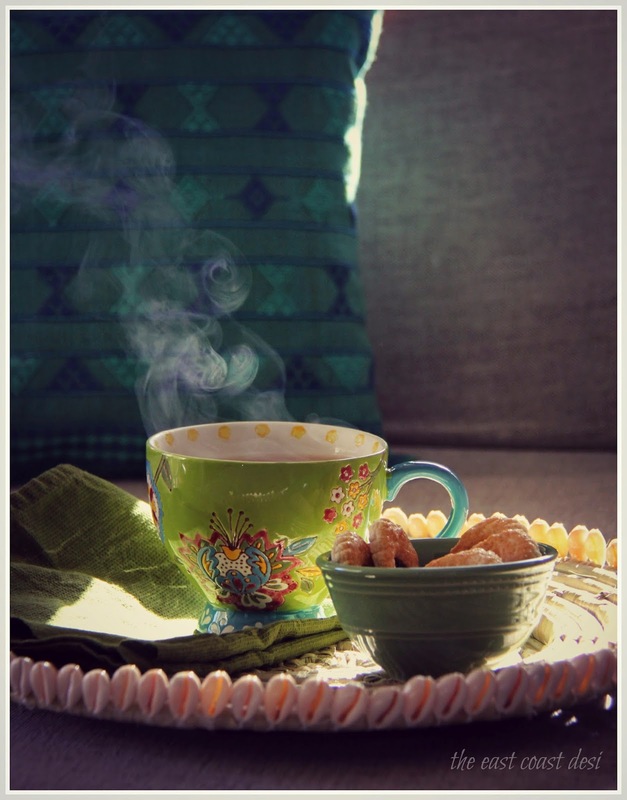 “To me, CHAI is a way of enjoying life’s simple pleasures! It is not only about taking delight in the cup of hot, aromatic, amber liquid….but it is the whole experience of selecting the blend of tea to brew, watching the concoction change color, pouring it into a favorite tea cup, cuddling the cup in my palms, watching the steam escape the cup and put on a show of its own and then of course the finale of savoring the hot beverage, as it soothes my throat and warms my insides! 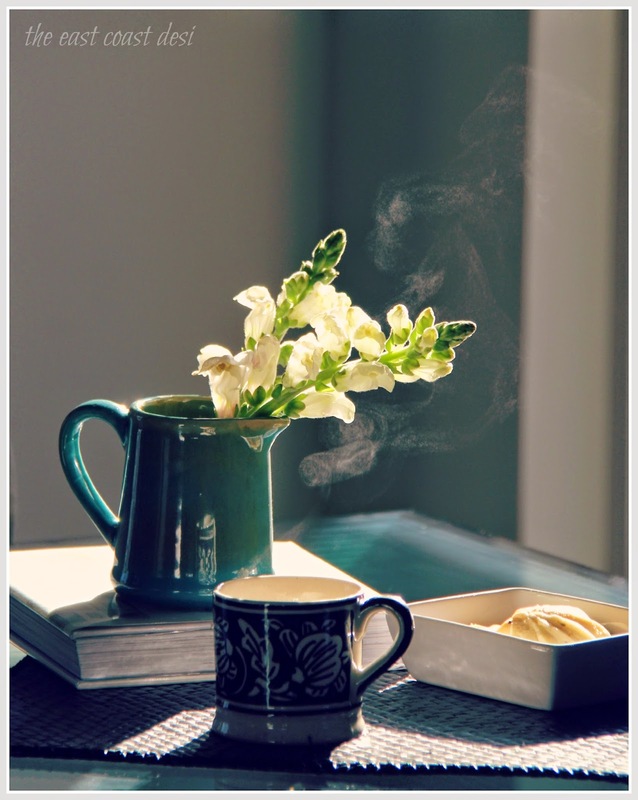 My day starts with my cup of chai…..besides being my morning fuel, the morning chai moments serve as a means to connect with my husband, deliberate over unfinished business and chalk out a mental POA to make the rest of the day more productive. And later in the day when I begin to lose steam, my second of cup of tea comes to my rescue. This time, I usually like to reserve it as “Me Time” - a moment of solitude that serves as my elusive escape into another world, even if it is for a mere 10 minutes. But that being said, all we need is an excuse to brew a pot of tea at my casa. Be it weekend mid-day lounging in the sun room with family, chat sessions with friends when entertaining or just warming up on a languid winter afternoon with a good read, a cup of chai is always within arm’s reach." 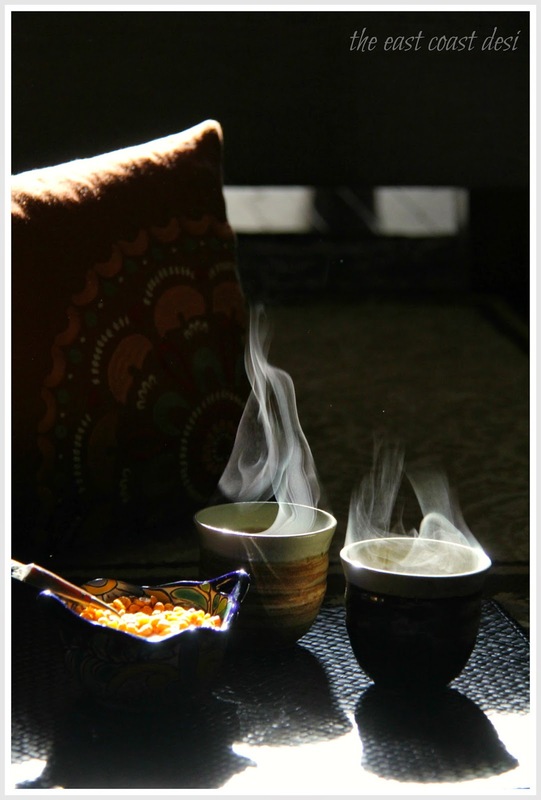 I also enjoy capturing my everyday tea moments through my lens and sharing these on my blog, The East Coast Desi. 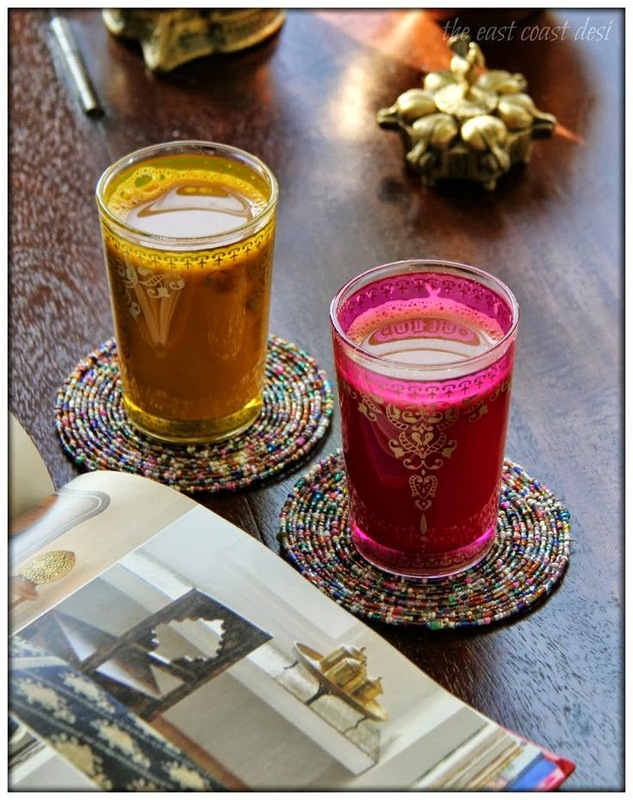 On another note....have you checked out my Suzani coaster Giveaway?